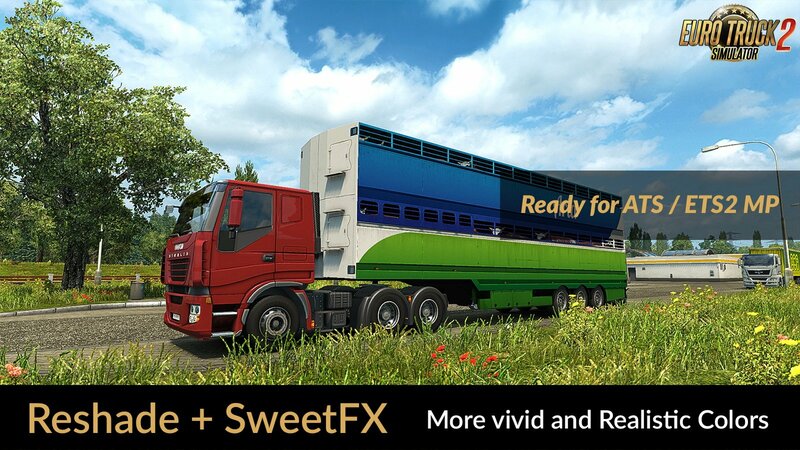 Reshade v3.0.8 + SweetFX v2.0 Final (Preset v1.6) (1.28.x) for Euro Truck Simulator 2 game. - Additional Adjustments and Improvements. - Adjustments and Improvements Cineon DPX and LumaSharpen.